skayl human diguise. 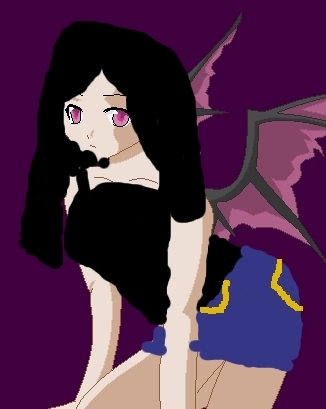 i used a base to make skayls human diguise wings black hair a black tanktop and denim short shorts. Wallpaper and background images in the Invader Zim FanCharacters club tagged: invader. This Invader Zim FanCharacters photo might contain anime, comic book, manga, and cartoon.